Lauren Verburg, CPA — Kamp & Boer, P.C. Lauren helps ensure that clients are provided with an accurate financial picture when it comes to their business. She works to combine her academic knowledge and experience to ensure clients are taking advantage of deductions and credits to minimize their tax and are better able to plan for the future. Lauren graduated from Illiana Christian High School in 2005 and continued her education at Trinity Christian College in Palos Heights. She graduated from Trinity in 2009 with a Bachelor of Science degree in Business Finance. She then continued her studies at Purdue University Calumet, focusing on accounting courses that would prepare her for becoming a CPA. She passed the CPA exam and received her license in December of 2012. In November of 2013, she was honored by the Indiana CPA society for being one of the top ten scorers in the state of Indiana on the 2012 CPA exam. Lauren began working at Kamp & Boer, P.C. as a part-time staff accountant in September of 2009. She has experience with payroll taxes, tax returns for individuals, corporations and not-for-profits as well as financial statement preparation. 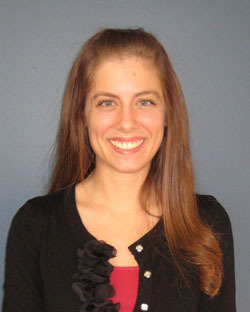 Lauren is licensed by the state of Indiana and is a QuickBooks Certified ProAdvisor.